Here is your concise instructional guide to surgical treatment of common knee injuries. It gives you the essential details of preoperative planning, technique, and postoperative management for more than 55 procedures for sports medicine injuries, adult knee reconstruction, and trauma. Expert contributors describe each technique in a straightforward and succinct fashion using a stepwise approach and easy-to-follow outline format. You will also find hundreds of exquisite graphics highlighting important concepts. This text covers techniques for knee arthroplasty, quadriceps snip, ligament reconstruction, meniscus repair, total knee replacement, opening wedge osteotomy, and much more! 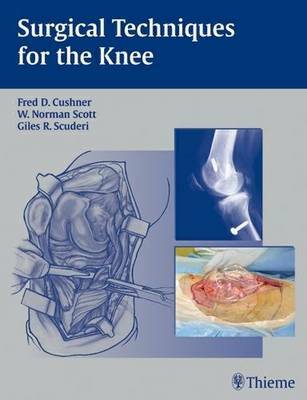 More than 350 high-quality illustrations demonstrating all operative steps, and "Pearls" and "Pitfalls" providing guidance for avoiding complications make this text the ultimate professional resource for orthopedic surgeons and other specialists treating knee injuries. It is also an outstanding review text for fellows, residents and students.